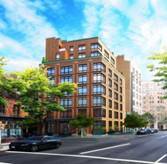 Lifestyles by Shana | Tribeca market is extremely tight and there are only handful of new development available. It seems price is increasing every day now because of the scarcity…..
Tribeca market is extremely tight and there are only handful of new development available. It seems price is increasing every day now because of the scarcity…..
After once being all but left for dead, three boutique TriBeCa projects are heading for quick sellouts, brokers said, a sign of a strong revival in the downtown market for expensive, loft-like apartments. Condominium apartments at 33 Vestry St., a modernist stone-and-glass building, first went on the market in 2007, but sales and construction stalled during the downturn, especially after damage was found in the foundation of the building next door during construction.Late last month, the last of seven apartments in the project, a $14.95 million, four-bedroom penthouse with a pool and huge terrace, went into contract. 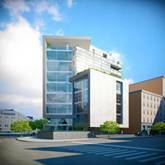 Wendy Maitland, a managing director at Town Residential, a new brokerage firm, said her firm made the final three sales, including one at full asking price and two close to it, even before the building near the corner of Hudson Street was finished. All of the last three deals had multiple bidders, she said. At another new development at 471 Washington St., 11 of 12 apartments went into contract since they were put on the market in March. One of the first buyers was an investment-fund manager who is combining a penthouse with a second apartment to create a 7,000-square-foot space with multiple terraces and a pool. The asking price was $19.75 million. At One North Moore, on the corner of Broadway, five of the six apartments went into contract soon after they were listed in March, brokers said. A triplex penthouse will be purchased by one of the developers, they said. “TriBeCa is hotter than ever—that is where everybody wants to be,” said Fredrik Eklund, a broker at Prudential Douglas Elliman, who listed apartments at both 471 Washington and One North Moore. He said offers on the remaining condos in the two buildings are pending. While housing markets across the country have been moving lower again, the number of Manhattan apartments in contract listed for $5 million or more has soared since February, according to figures compiled by UrbanDigs.com. Brokers said this rebound among affluent buyers was particularly striking in TriBeCa, a cobblestoned neighborhood of converted factory lofts and commercial spaces whose large apartments and nearby schools have brought in many families with children. TriBeCa, just north of the financial district, suffered in the years following the 2001 terrorist attack on the World Trade Center, but rebounded strongly during the boom years. Now, with new towers rising at Ground Zero, demand for TriBeCa apartments is likely to rise in tandem, brokers said. 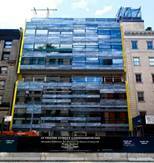 The condominium at 33 Vestry St., known as V33, was designed by Winka Dubbledam of Archi-Tectonics, with interlinking panels of glass and translucent stone on the front, and a glass wall of balconies and terraces in the rear. It was developed by Charles Dunne, a former vice president for facilities at ImClone. In earlier years, Mr. Dunne partnered with ImClone founder Samuel D. Waksal on a number of downtown loft conversions. In 2002, Mr. Waksal was accused of insider trading and served time in federal prison. Mr. Dunne didn’t return a call requesting comment. Ms. Maitland began working on the project in the mid-2000s and had the listing with her previous firm, Brown Harris Stevens. In the last few months both Town Residential and Brown Harris Stevens listed units in the building. While the three boutique buildings are headed for sellouts, another project, 77 Reade St., just came on the market after a long delay triggered in part by the partial collapse of a building next door. The development, a mix of new limestone and an 1852 loft, has 30 apartments. Since it went on the market late last month, broker Barrie Mandel of the Corcoran Group said there has been a steady stream of visitors but no contracts signed.